M/S Patel Associates Karachi Sindh. 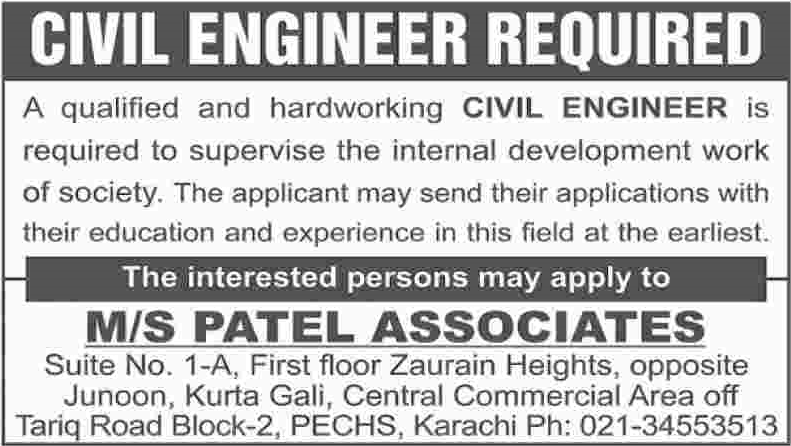 A qualified and hardworking CIVIL ENGINEER is required to supervise the internal development work of the society. The applicant may send their applications with their education and experience in this field at the earliest.